We’re now recruiting members for our 2018-2019 New Member Class! Email jle-ns@sbcglobal.net to learn more. Download the 2018-2019 New Member form here. 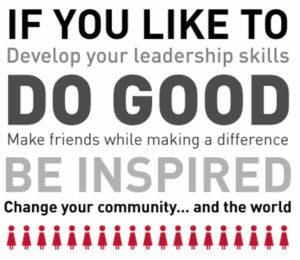 The Junior League of Evanston-North Shore welcomes all women who are committed to making a difference in the community – and want to have fun doing so. Our membership is composed of a wonderful variety of North Shore women – we are single and married, full-time professionals and stay-at-home moms, recent college graduates and retirees. However, we all have one thing in common: we are women with a desire to volunteer and make a difference. * Find Flexibility – Have the opportunity to create a volunteer experience that works with your schedule and lifestyle. Throughout the year, there are numerous opportunities for New Members to actively participate in all the JLE-NS community impact projects, fundraisers, and social events. Annual dues for new members are $133. * Contact us with your questions and inquiries. You can email the JLE-NS office or call us at 847-441-0995.